When it’s said that an image is worth one thousand words, we don’t assume that it tells the story of a young couple’s parallel career path leading to the purchase of a farm and the fulfillment of a childhood dream. In the case of Lee and his wife, Alyson, their recent Artmill purchase speaks volumes about their journey together. Both Lee and Alyson are small animal veterinarians. 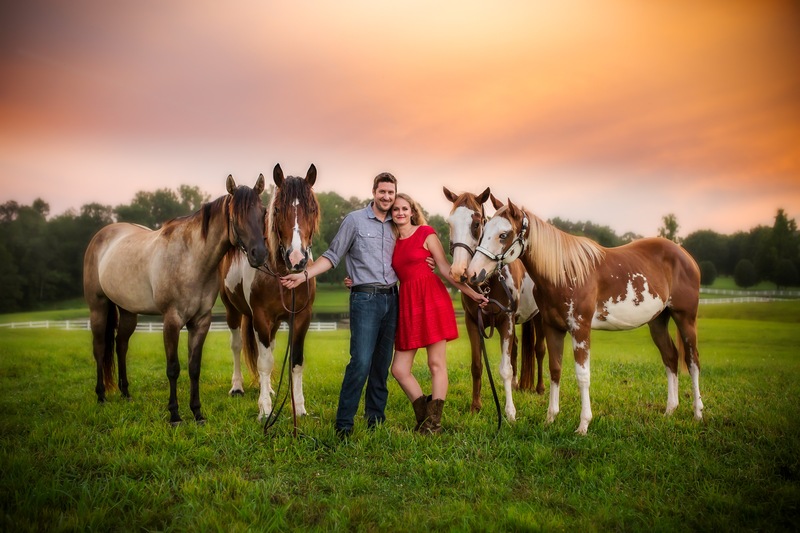 They were married around the time they both graduated from University of Tennessee College of Veterinary Medicine. A few years later in 2017, they both found jobs at the same veterinary clinic and bought and moved onto a farm in Cleveland, Tennessee. It only made sense that since they are so in step with each other, that Lee would support Alyson’s dream of owning horses. So, over the course of a couple years, their family grew to include three adult horses and one yearling. 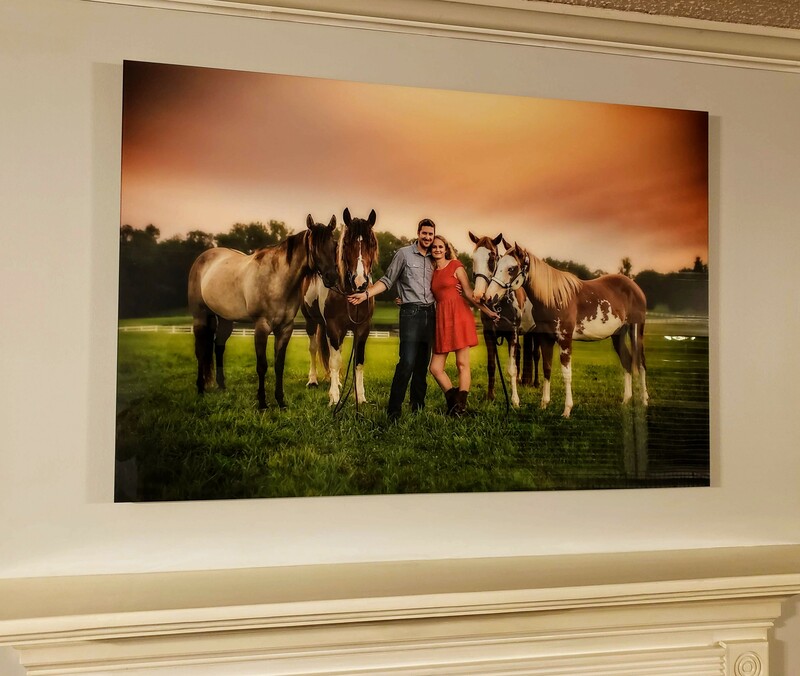 “My wife always knew she would want professional equine photographs taken once she had her dream foal and full horse family.” They worked with Kacy Todd, a local Chattanooga photographer, who specializes in horse and portrait photos. The photo centers on Lee and Alyson, surrounded by their four horses (from left to right) Vienna, Triton, Doutzen, and Gracen. 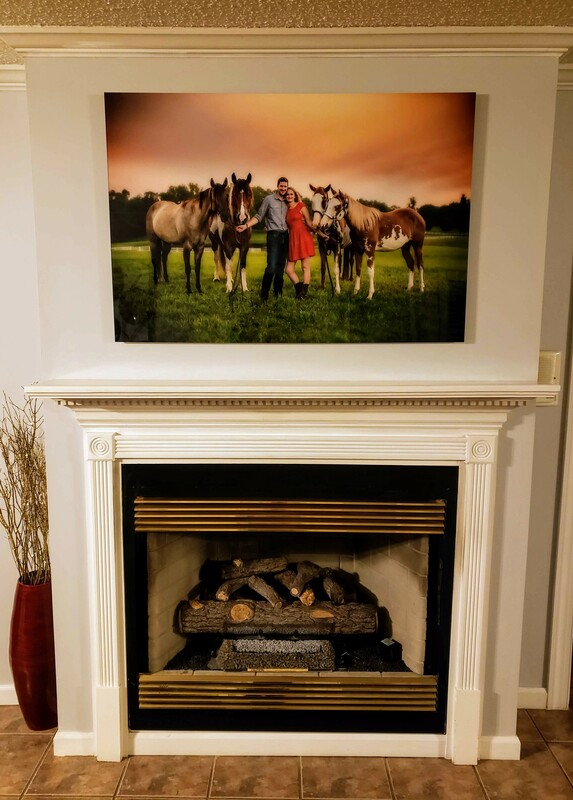 The next step was to turn their family photo into wall art for their home.